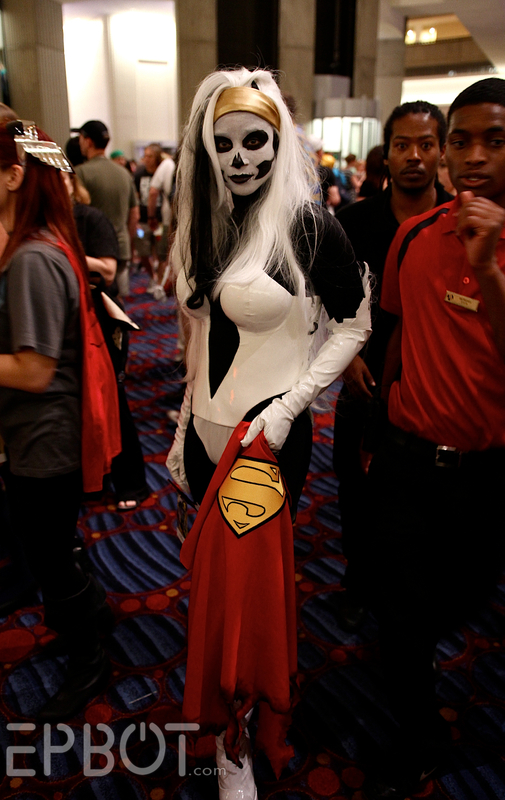 Time to dive in with another batch of Dragon Con cosplay goodness! I'm trying to be more selective with what I post here on the blog, just because I have SO MANY LEFT, but rest assured everything will be up on my Flickr account later. The pics here are just the ones I most want to talk about. She was standing in front of wall sconce right at eye-level, so I asked her to tilt her head sideways into the light. Look how perfect her makeup & forehead prosthetic is! Had to HDR it up a bit to bring out the detail. STUNNING. 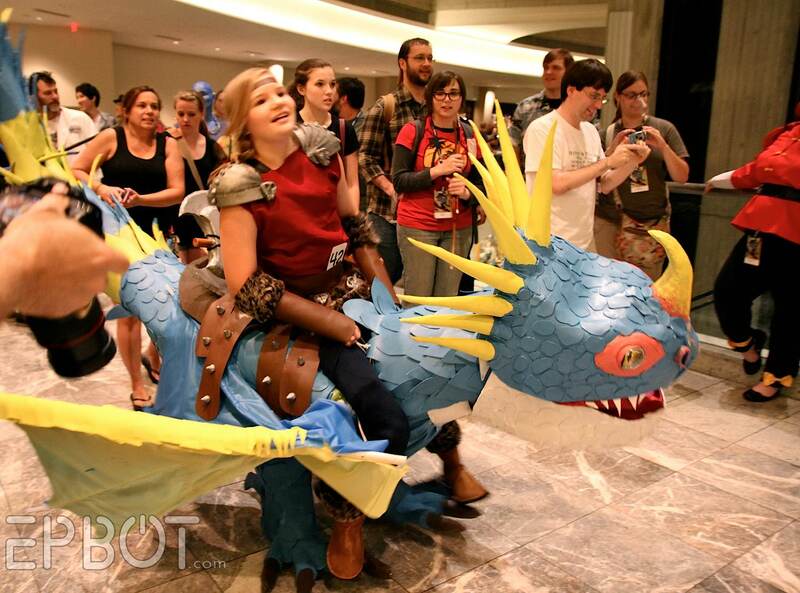 Dragon Con is such a sea of talent, it's almost dizzying. 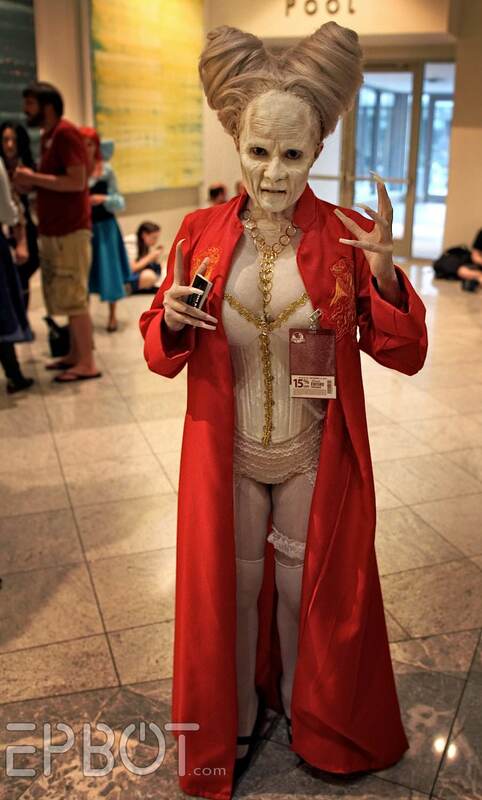 She looks like she just stepped off the set of Face Off! 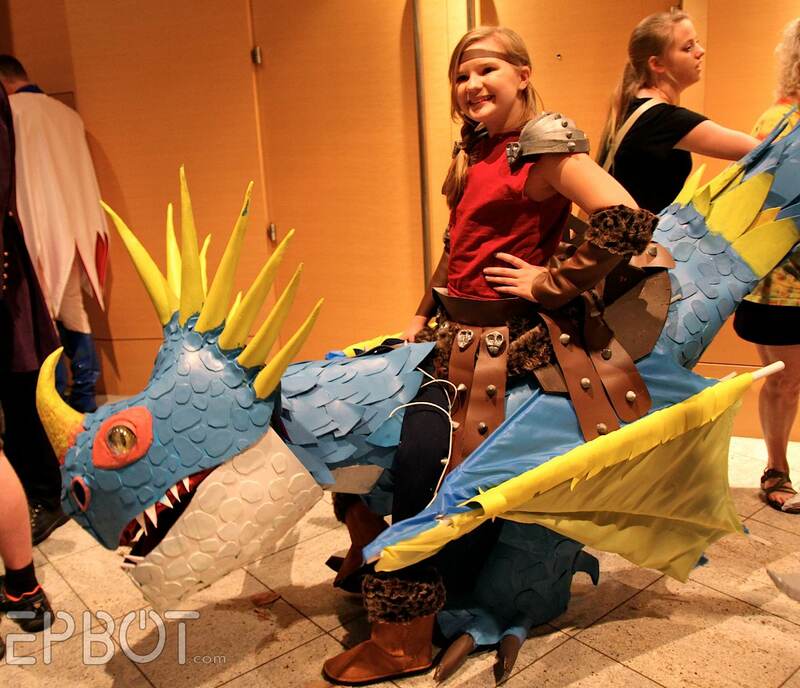 And speaking of handmade dragons... you are going to love DC's children's costume contest winner! Coming through the door - look how high the tail is! So her legs are the dragon's legs, of course (oops - did I ruin the magic? :)), and she really had to throw her weight from side-to-side to walk. It must have been so heavy! Even better, the next day he cosplayed as the Dread Pirate Roberts! YES. I like this idea of carrying around your own photo backdrop! Gorgeous. See the ship on her hat? And I love the teddy bear. 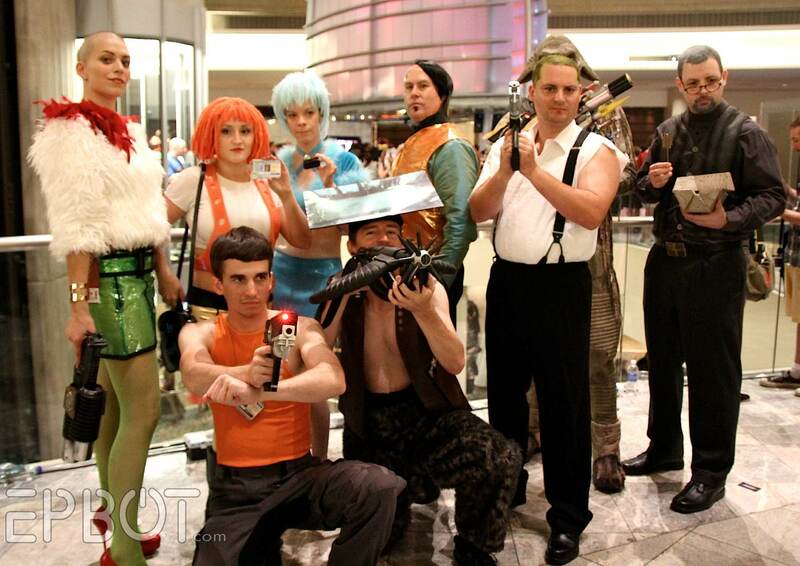 Speaking of groups, this Fifth Element gang is here every year, and I love them. Remember? If not, go and watch Fifth Element again immediately. You can see Zorg's gun behind him on the ground, and the professor is holding one of the element stones. So, so good. Some of the ladies decided to stay in costume all day, so I spotted them out and about later. And remember I said there'd be more Groots? In other words: crowded. I like crowd shots with just one person in focus, though. You see a lot of Poison Ivys at cons, but I've never seen one carry a prop this cool! Even the flower buds have teeth! Haha! 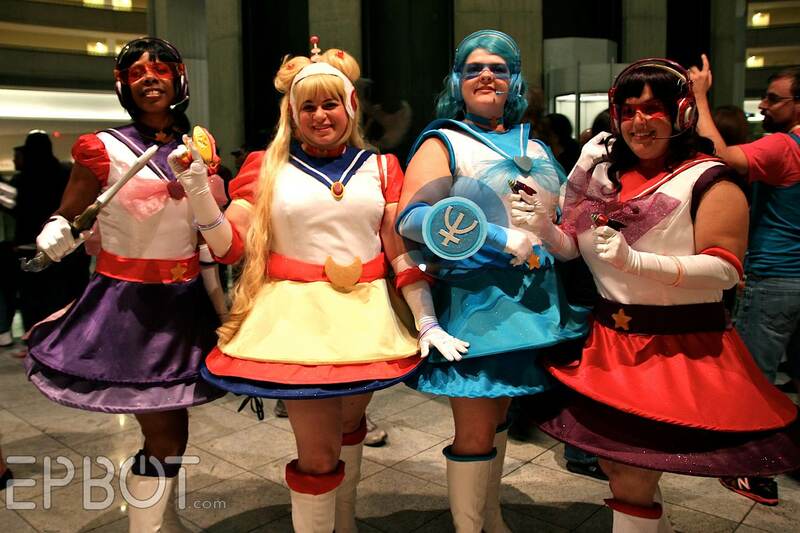 At first I thought it was Sailor Moon & Rainbow Brite put together, but I must be wrong on the Rainbow Brite part. Help? "Fabulous, Mom, I love the feathers." 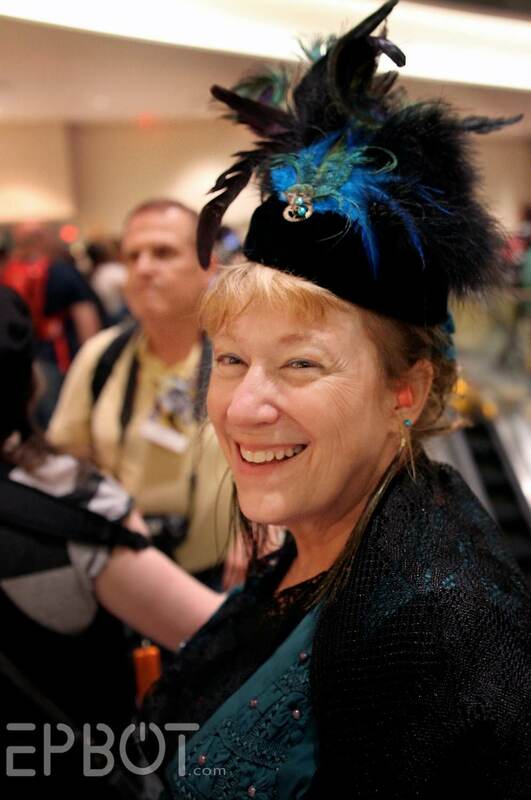 My mom had a different steampunky outfit - and hat! - every day for four days. It was awesome. The guy operating him could even make him wave! 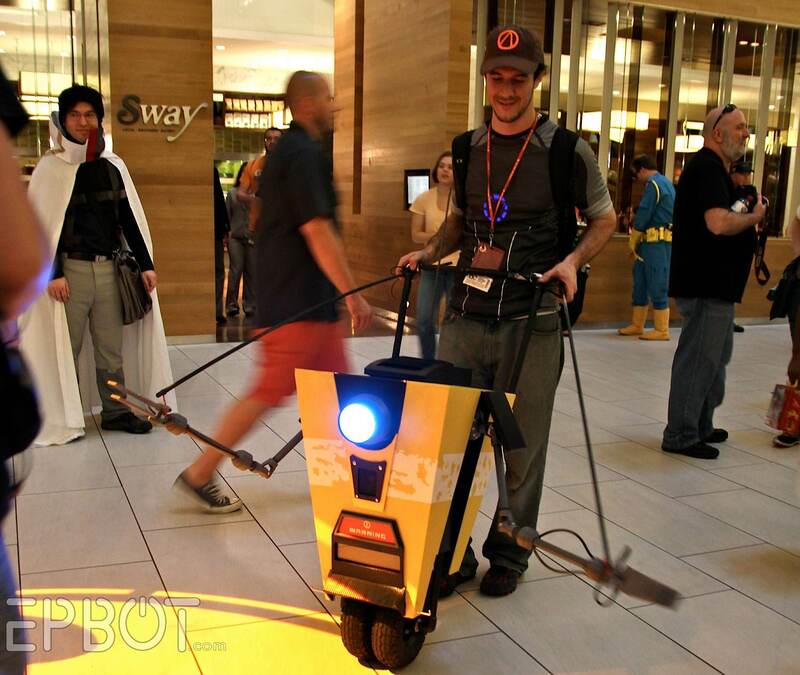 So, you know, now John and I want to make our own Claptrap. Of course. Plus John and I enjoy impromptu dance sessions to the new theme song, so please enjoy THAT mental image. 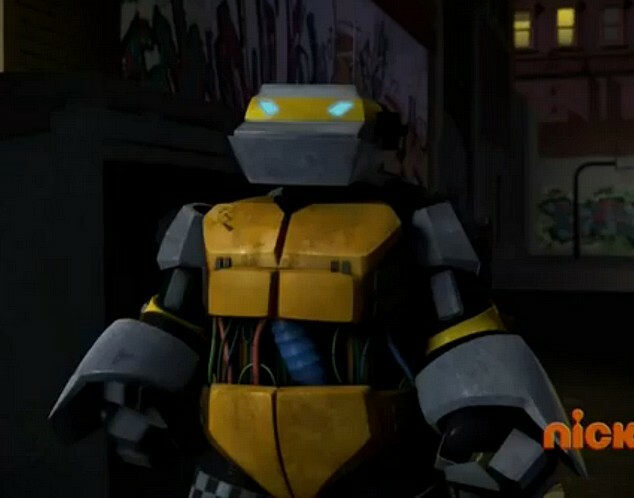 So basically a robot Turtle. I don't watch scary movies or play scary games, so... help? Best of all, Linda is wearing her "spice rack," which she invented on the show. John and I immediately went - in Linda's voice, of course - "spice raaaack! Aha! ha!" And my poor parents were SO confused. 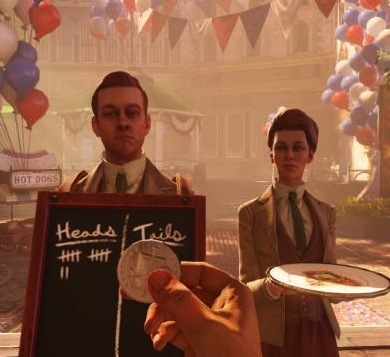 Yep, she had the coin on the platter, too, so you could flip it! Awesome. Check out the little skull on her headband! AMAZEBALLS. The second I saw her I went running to grab her pic before she made it into that room there. I felt kinda bad for holding her up like that, even for just two seconds... but I had to have this photo, you guys. HAD TO. And on that victorious high note, I shall leave you. Amazing! Thank you for all of your work to share these with all of us. To imagine that you and John went through CW craziness and still managed to capture so many brilliant pictures is extra impressive. All of your blog posts can be as long as you want in my opinion. 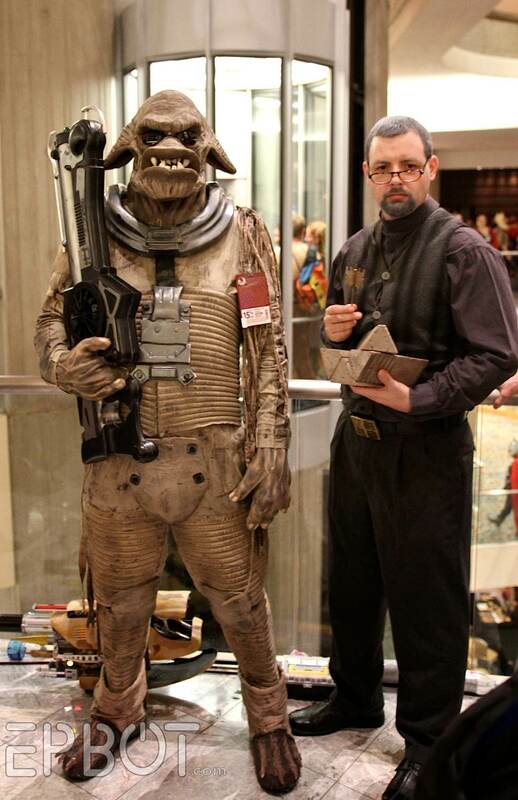 I love the reference pictures as well and could drool over impressive cosplay for days. So much fun. Thank you! The creepy in red is supposed to be Dracula...from Dracula, staring Gary Oldman, Winona Ryder, Keanu Reeves, etc. Sailor Moon and Jetsons mashup, I think. Oh. 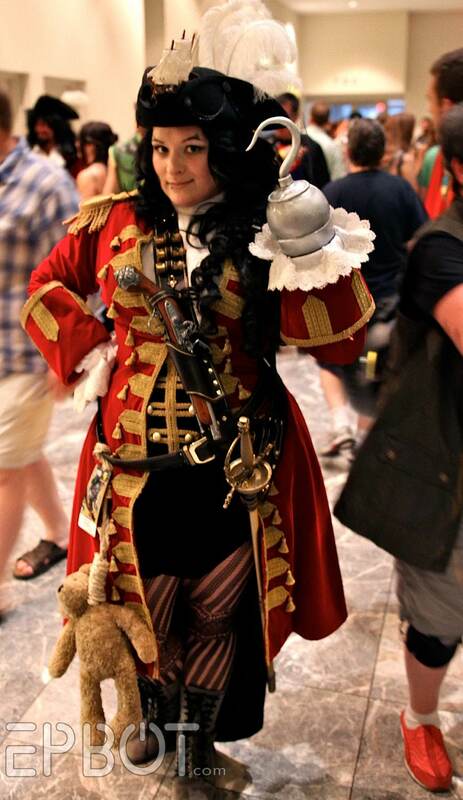 The Hook cosplayers... that's just so darn sweet. Yowza. 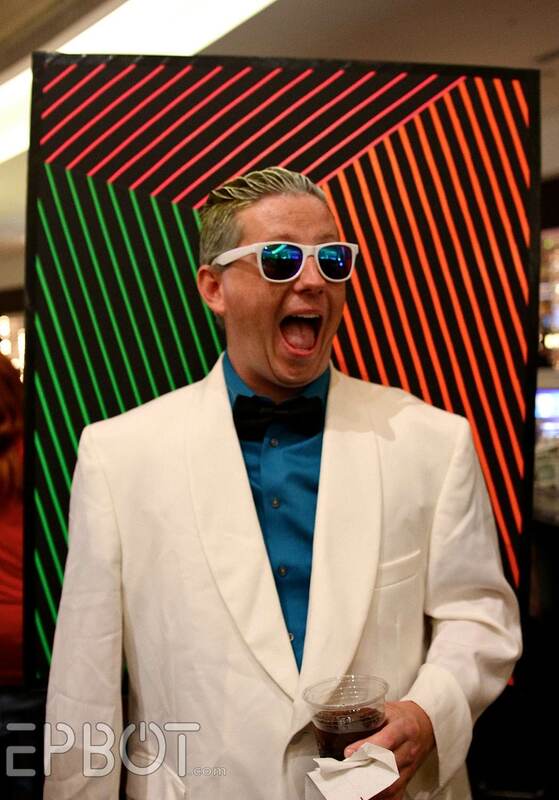 Thanks for brightening a dreary Thursday, these pictures are so fun and inspiring! 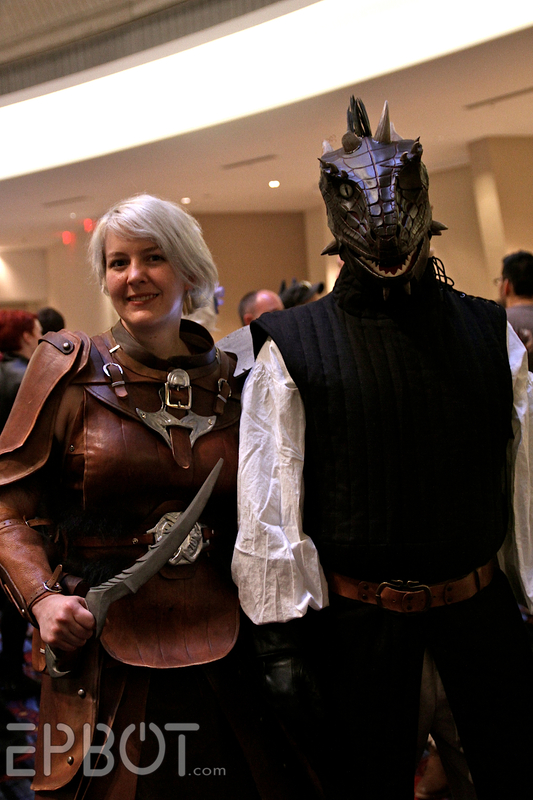 The guy with the awesome dragon mask looks like an Argonian from Skyrim. I'm not sure, though. And I love the trash lady too! 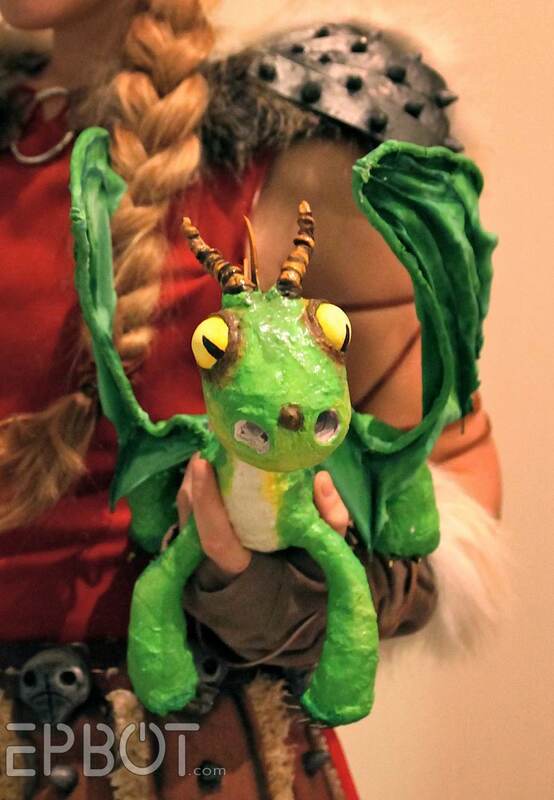 Seconded - that's a lizard guy from Skyrim, not a dragon. 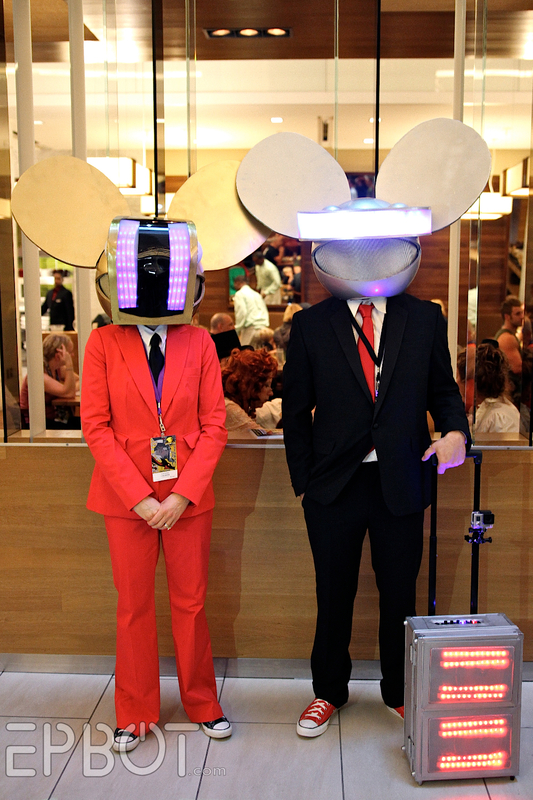 Also, the shiny mouse heads are Deadmau5. That was my first though too! Fun Fact: the guy that plays the neighbor in the 5th element ("GIMMIE THE CAAASSSHH") is the same guy who plays Nino (the guy she is in love with) in Amelie! Thank you so much for putting these posts together, I love them. The work on display by everyone is incredible, I can't decide which I like best! that trash lady was awesome, my jaw dropped with the shot from the back! Those Luteces! Wonderful. That Robert really looks quite a bit like Robert, too! thank you, jen, for always thinking of us and sharing your photos. 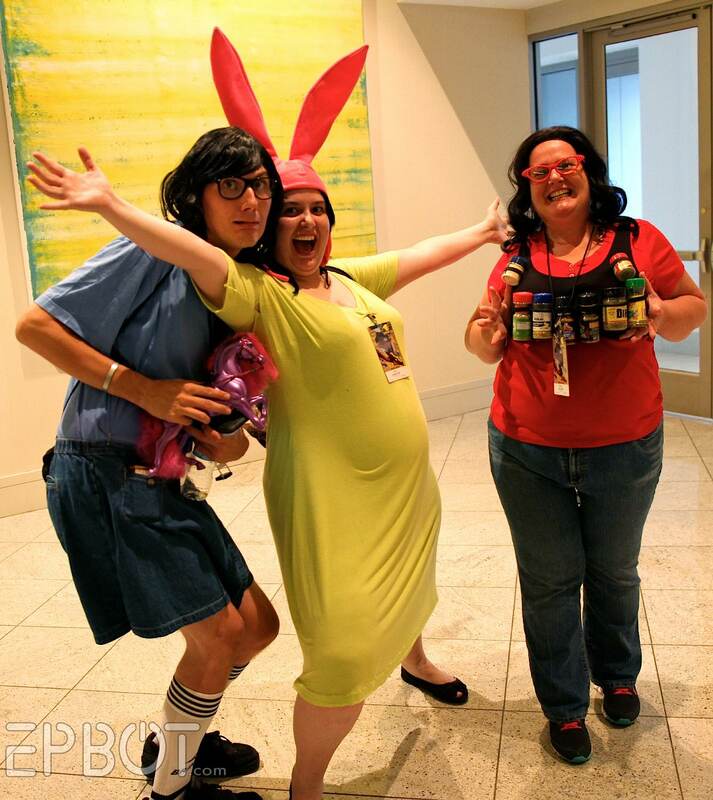 i hope one day to get to dragoncon and have a costume fabulous enough for you to stop and ask for my photo! I did a desk squee when I saw the junk lady, too! 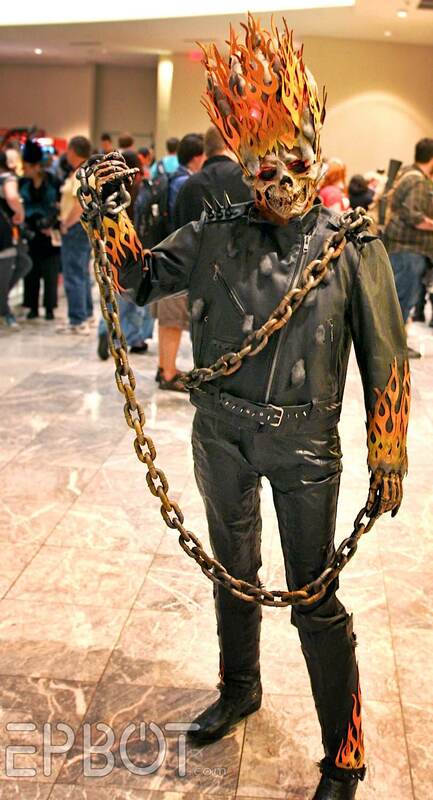 That costume is INSANE! 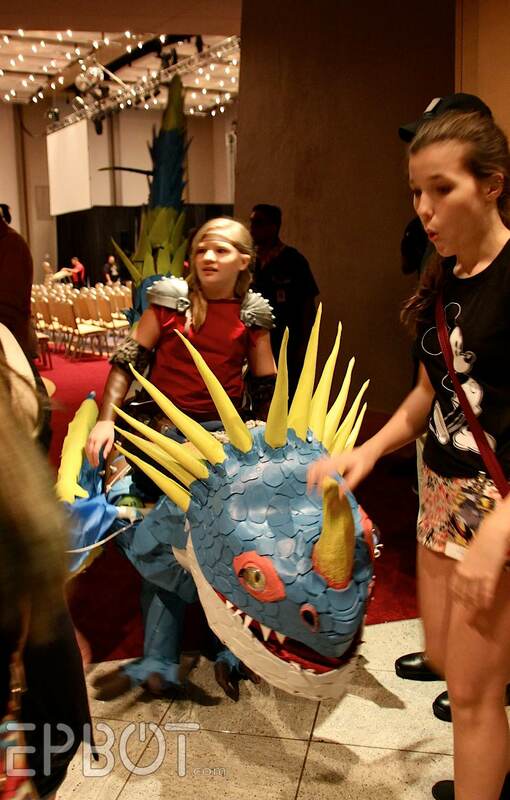 NC's own Maggie Bennett (build genius) there next to the dragon-mask. Proud to say I know and admire her, nearly as much as Jen! Oh my stars, these are AMAZING!! My coworkers probably think I've gone nuts for as much geeking out as I'm doing on my lunch break. Seriously, just wow, these people are so talented! That Astrid and Stormfly is just freakin' awesome. My jaw is on the floor. And love the trash lady! 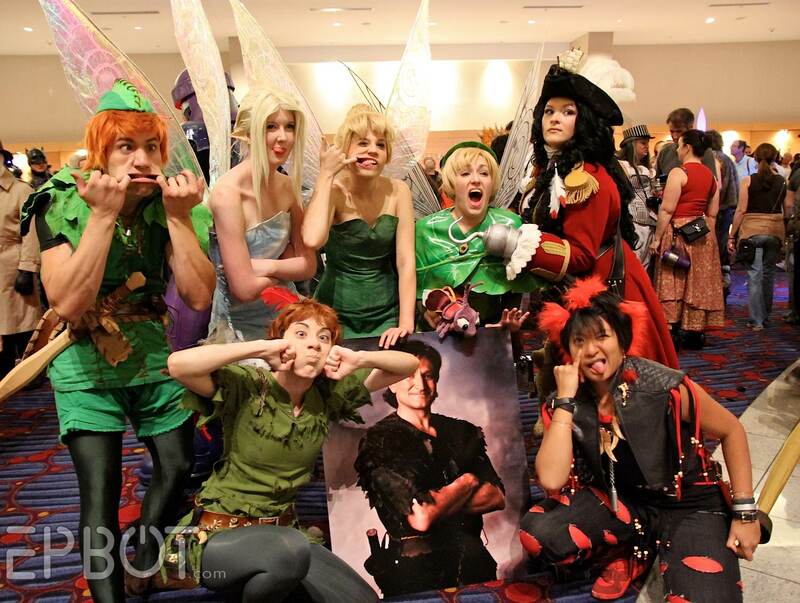 And the Peter Pan group. And Sherlock's flat. And just, well, yeah, thanks for making my day! Can't wait for more! They Might Be Giants reference for the WIN! Costumes were awesome. Loved the dragons. Sniffled over Hook. Thanks so much for going where I can't. Also appreciate the reference pictures as I am chronically unhip among the hipsters AND the cosplayers...so just about everyone, really. 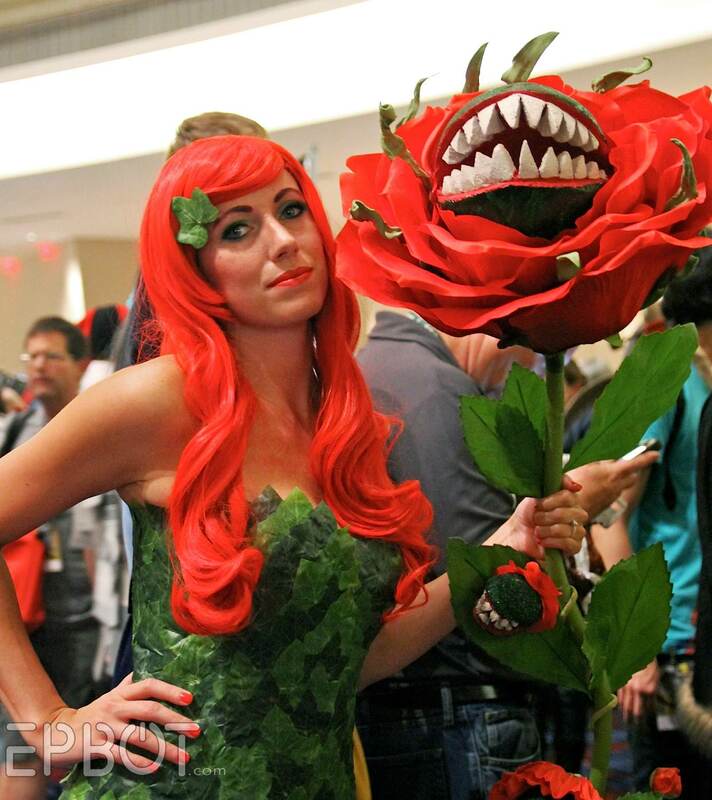 Correct me if I'm wrong, but it looks like the plants on the Poison Ivy costume are Audrey II and a few Audrey II "babies" from Little Shop of Horrors!! 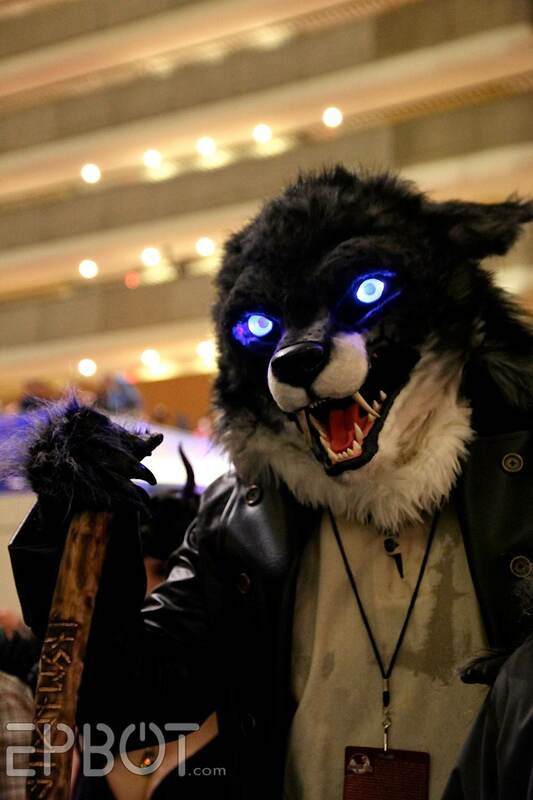 I love your con pictures, It's like being there without all the travel! OMG! 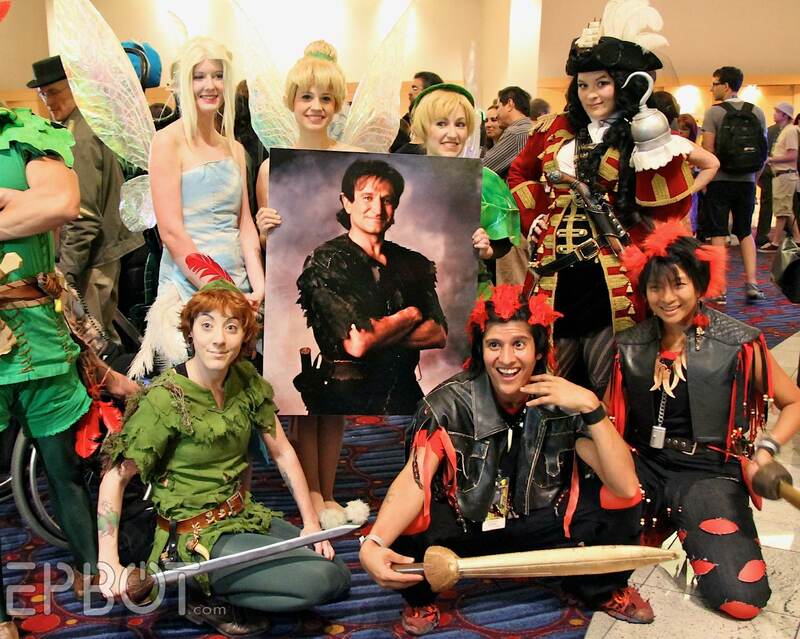 I'm the Adventure Tink from the Robin Williams/Hook/Peter Pan tribute group. THANK YOU for featuring us. It totally made my day. Squee! And thanks for all the other fabulous pics. 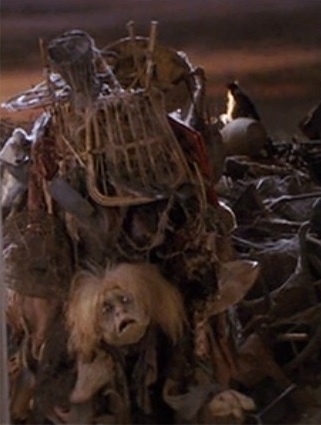 OMG the Trash Lady from Labyrinth is AMAZING! Not sure how I missed her! Amazing and inspiring as always! 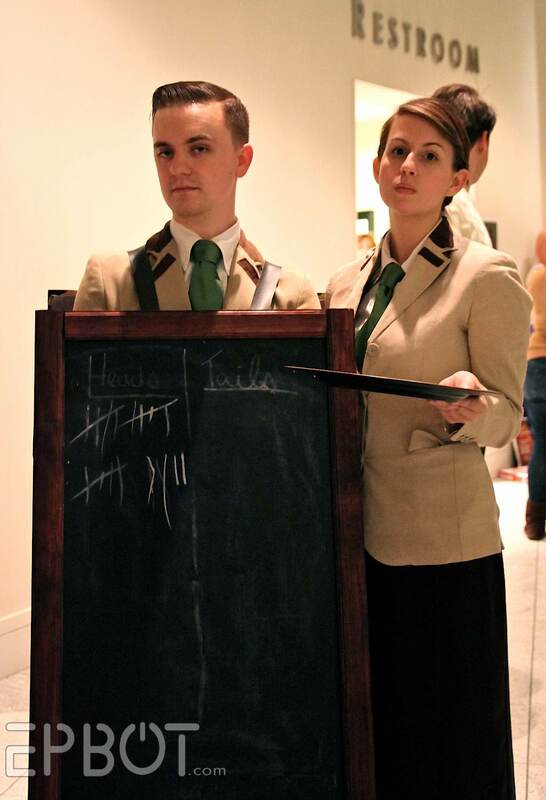 I have an idea for a 221B Baker St. cosplay I would love to do if I ever have the guts. And the money for the custom fabric. Eeeek that trash lady is amazing, oh my gosh! Ello Jen and John! 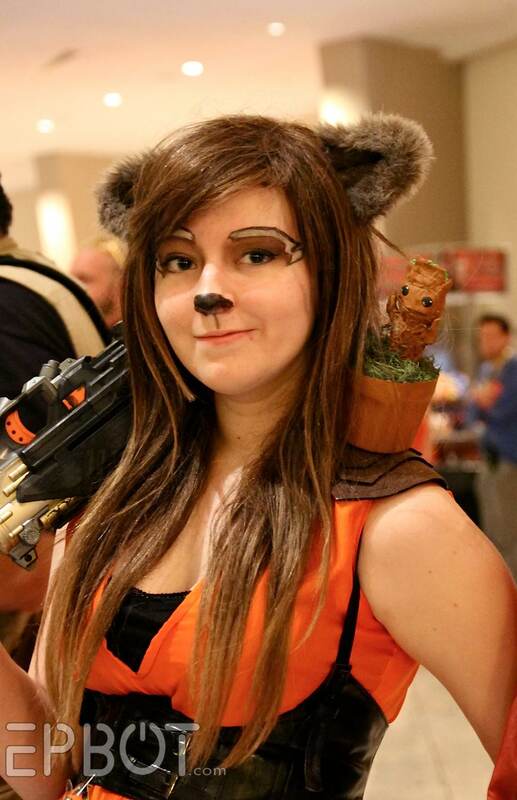 thanks for all the photos and woo for Labyrinth! That is not an easy TMBG reference to squeeze into a blog post, color me impressed. I did get a little teary-eyed by the Peter Pan group. And I squeed with excitement at the Trash Heap Lady. She was amazing! And yes - I do appreciate the reference shots! 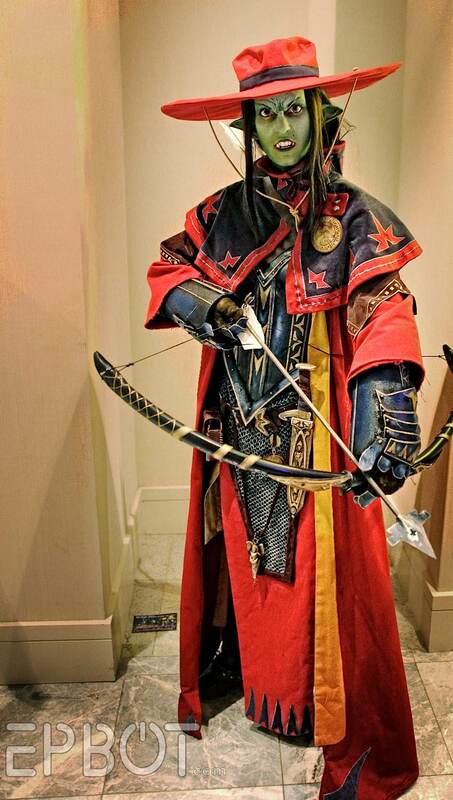 I always love your cosplay posts. 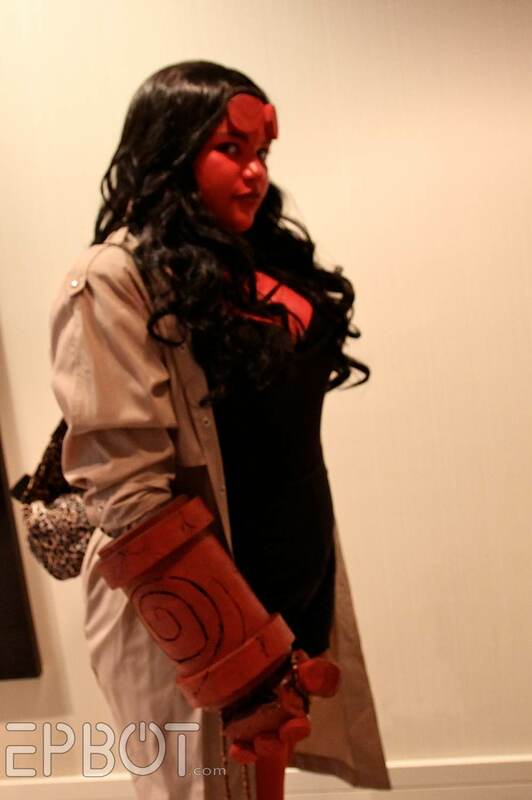 Even when I don't necessarily know the characters, it's just so fun to see the work people put into their costumes. One of these days, I'm going to go to a con myself (up in the air as to whether I'll cosplay or not). Woo! We made the epbot roundup! *level up noise* We were indeed the Sailor Scouts (well, half of them, anyway), though the Rainbow Brite connection was obvious to all but our Sailor Moon who'd never (?!?) heard of her. 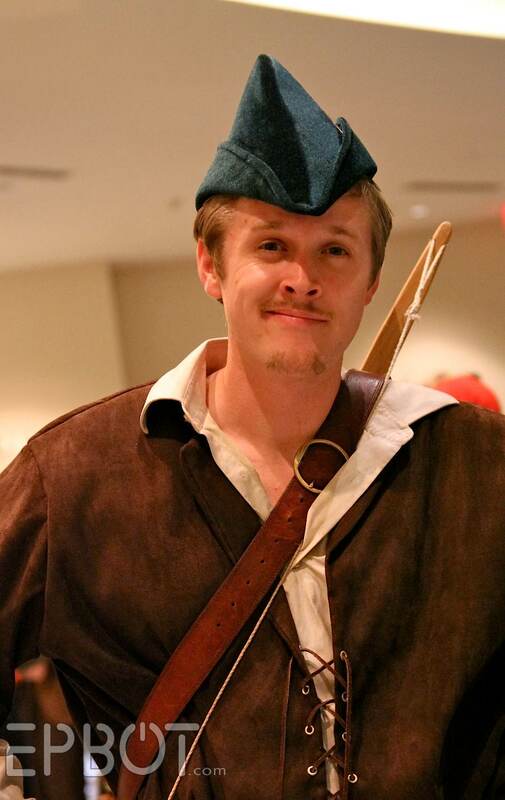 That Cary Elwes doppelganger is amazing! Robin Hood Men in Tights is my favorite movie hands down. And the trash lady made my jaw drop. Maybe one of these days I'll have enough money to go. I am also loving the reference shots that you post! 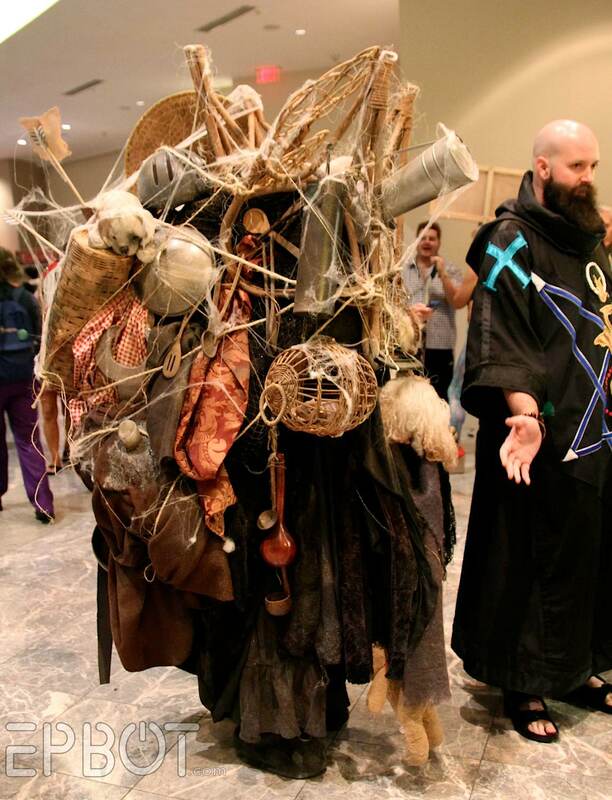 It's so helpful especially for characters I don't know (or with which I have only a passing familiarity); it gives me the chance to truly appreciate the amazing details the cosplayers put into their art. It also really makes me appreciate the work you (Jen & John) go through to highlight those details when taking pictures in a less-than-ideal photo setting! Oh my god, the trash lady! 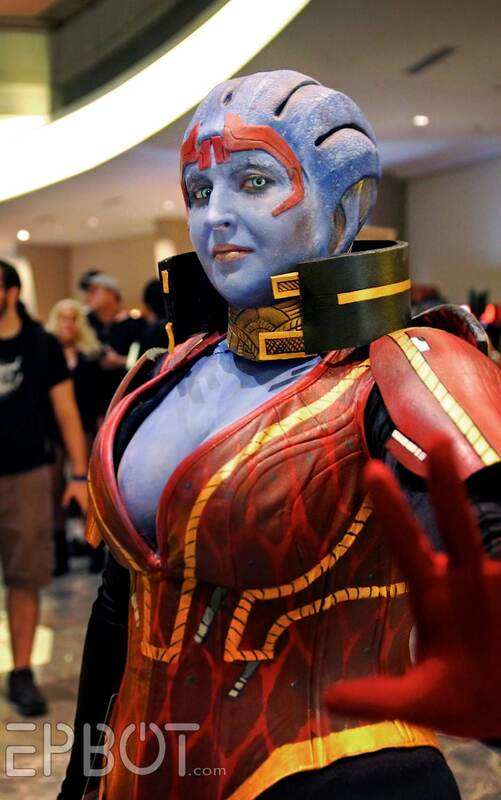 You've featured many amazing cosplayers on this blog, but this one is definitely among my absolute favorites. Jen! I didn't think it was possible to love you anymore than I already did, but then you made a TMBG reference in the best way possible. 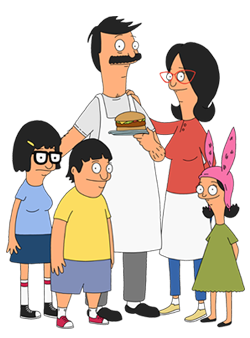 Also, this post inspired me to finally start watching Bob's Burgers, which turned out to be an excellent life choice. THE TRASH LADY!!! Oh my god, that's so creative! Did she do the voice? Tell me she did the voice. Labyrinth is one of my favorite movies!! :) I make anyone who hasn't seen it watch it and then make them kick themselves for not having seen it! Some people, I tell ya! This is such a great post! So many awesome outfits! So many awesome people! Thanks for letting us enjoy the con, too!! 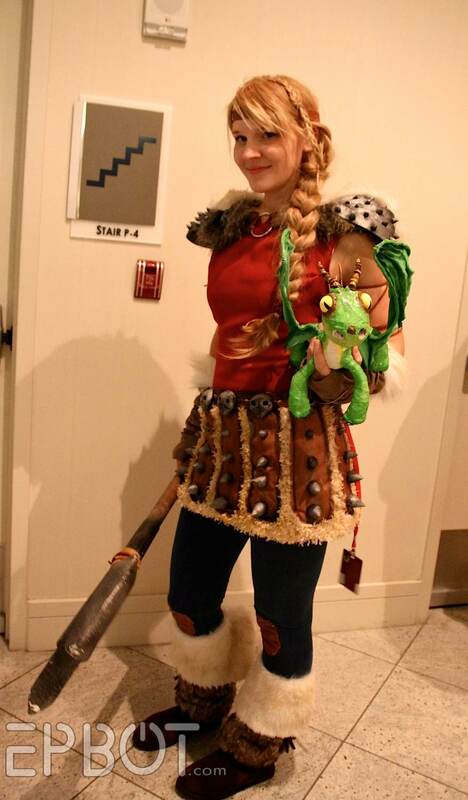 We were at the parade and felt so bad for the HTTYD girl- that costume looked so uncomfortable to walk in. Once again, wonderful photos and thank you for the references as I don't get out of my cave much. All of them are so marvelously done. Difficult as that dragon was to walk with I suspect the little girl was still very pleased with her costume. I saw that Poison Ivy cosplay and I was like, "Feeeed me Seymour!" As an ATL girl who AVOIDS downtown over the Labor Day weekend, thank you for letting us experience DC vicariously through you. I've been a lurker for a long time. But Miss 221B Baker St.?! 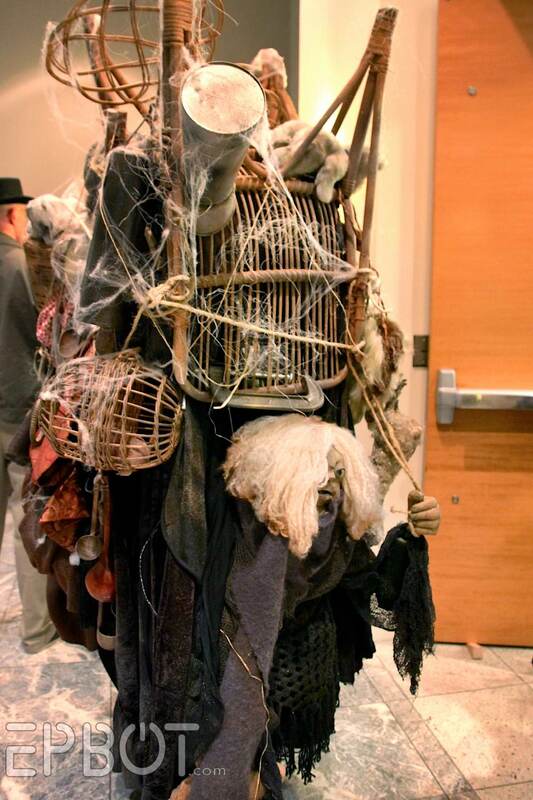 That was probably the most imaginative Sherlock costume I've ever seen! Totally comment-worthy! It's instructions for making your very own Claptrap. 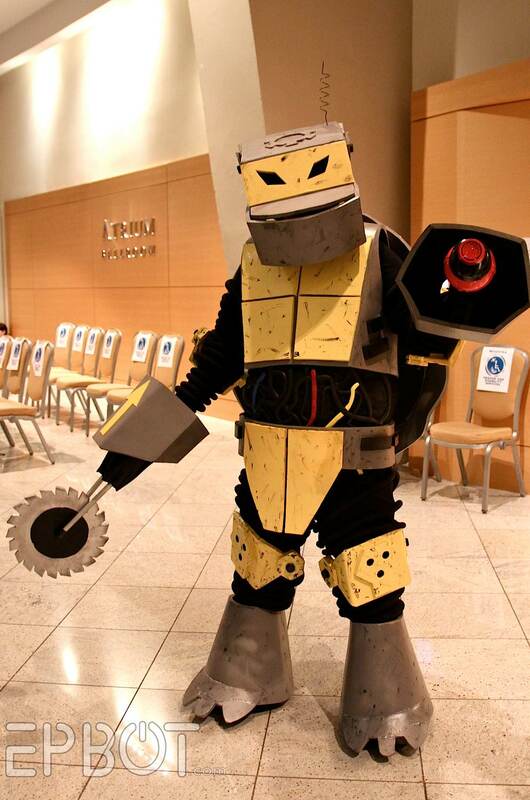 I would almost bet it's what the guy up there used since Bill was really trying to get a whole army of Claptraps running around DragonCon. I would have been fan-girling all over that poor person. The trash lady!! I knew instantly, from the first picture, who she was. Amazing!! I wonder if the gent in the dragon mask is meant to be an Argonian from Skyrim? Color me impressed, regardless! 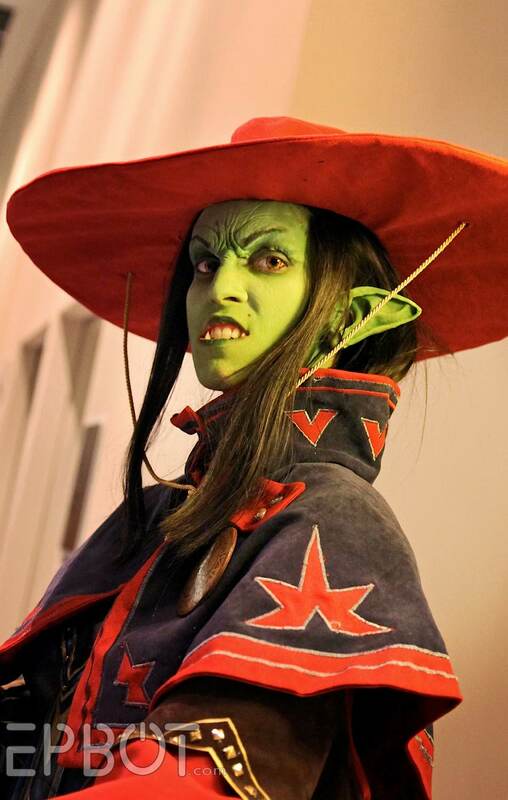 The first picture is of the Half-Orc Inquisitor from the Pathfinder RPG!